Four months after giving birth to her second son—and 15 years after losing her arm in a shark attack—Bethany Hamilton was back on her surfboard. In July, the 28-year-old secured a wildcard spot for early September’s Surf Ranch Pro competition. The Surf Ranch in Lemoore, California, was started by world champion surfer Kelly Slater. 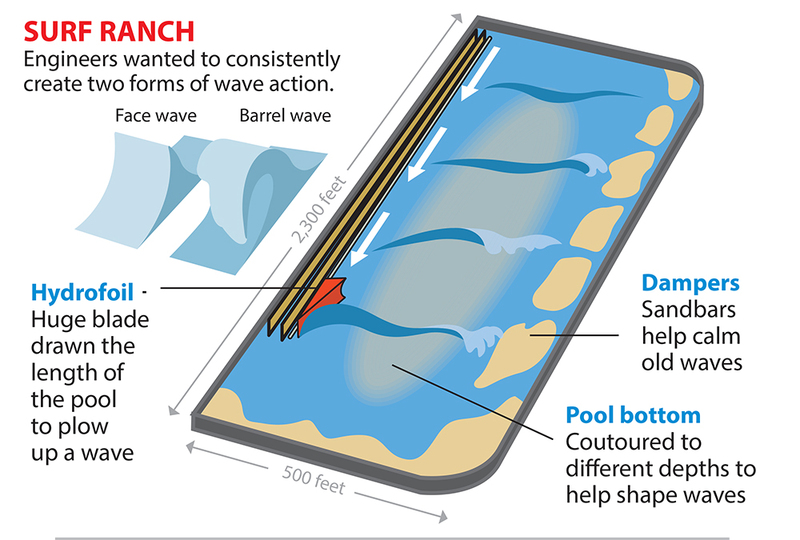 Slater worked with a fluid mechanics specialist to create an idealized surfing wave pool. The scientist designed a 70-ton hydrofoil—a metal blade that is dragged through lake water. The moving blade creates artificial waves at timed intervals on the man-made lake. Even the bottom of the lake is sculpted to make the waves break at just the right point—every single time—for best surfing conditions. For the first time, Surf Ranch has been chosen as a competition site in the World Surf League’s 2018 championship tour. The attraction for competition is that the waves at Surf Ranch put all competitors on the same playing field. Unlike a natural setting, the ranch lake generates the exact wave over and over again. In ocean conditions, surfers take what the surf gives them. One may get a perfect wave—and walk away with a perfect score. But the next may have to surf a completely different wave—for better or for worse. At Surf Ranch, judges will evaluate each performance on the same challenge—so surfers’ skills really go head-to-head without variation. Hamilton spent several days practicing at the ranch in July. The workout helped prepare her for competing against others—most of whom are younger and haven’t just come off maternity leave. The well-known female competitor has been surfing the giant waves off the coast of Hawaii most of her life. At age 13, Hamilton went surfing with friends. It was a normal, daily event for all of them. But that day, a 14-foot tiger shark closed in on Bethany and bit off her left arm. Her friend’s father applied a tourniquet and got Bethany to a hospital in time to save her life. Her surfing career seemed to be over, but Bethany refused to let the loss stop her. 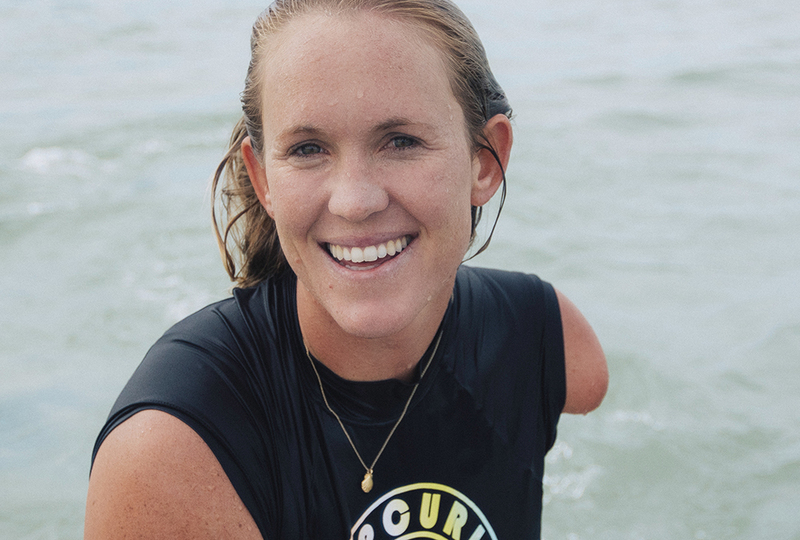 In the years since that incident, Bethany Hamilton has inspired millions in the face of hardship. She attributes her determination and perseverance to the presence of Jesus in her life. 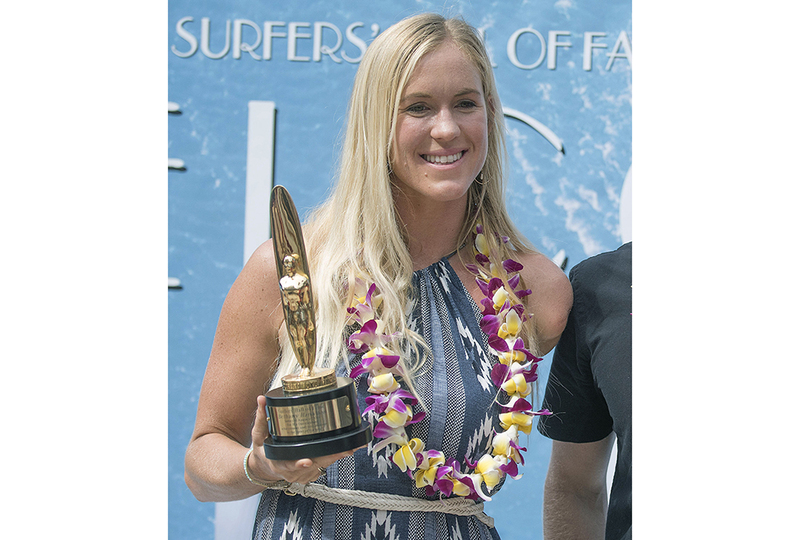 Hamilton continues to surf competitively, has written numerous books about her life and faith, and operates a website to encourage others to trust Jesus—no matter how fierce life’s seas become. I've heard about Bethany Hamilton and how she lost her arm, but I didn't know she started surfing again! I'm going to have to watch the movie about her, "Soul Surfer". How does she balance with 1 arm? The movie is really good but her book by thr same title is even better. It tells more of the real story. Bethany is such an inspiring person! What a comeback! I've heard about her before, so great for her! I watched the movie when I was about 8, so my parents skipped over the part where she's in the hospital. we have the movie about her and its one of my favorite movies she is so inspiring, l did not it know that she had kids especially 2! Did you know that she is also in the beginning of the movie Dolphin Tale 2? so cool that you trusted Jesus even in the hard times Bethany! Wow! I didn't realize she was only thirteen when she lost her arm. They used an older actress in the movie. Yep, so cool that she's in Dolphin Tales 2. Its a really good movie. In fact, I just re-watched it last night. She is just a wonderful role model to me! Love Bethany! She is a true follower of Juses. I love Bethany Hamilton sooo much! She is a true inspiration to me! And I think it's so cool that after she lost her arm in the shark attack she did not give up! She got back on her surf board and learned how to balance, with one arm! She is a true christian and did not loose faith in God, even after she lost her arm!!! You rock Bethany Hamilton!!! Bethany Hamilton is a great inspiration but the fact that they are using a fake wave generator is just sad. I'm a surfer myself and one of the whole things in surfing is that each ride is different. Every time you catch a wave you have to change to that waves power, height, and if its barreling or not. This is not good. Wow! I agree with some of you. She is super inspiring. GO BETHANY!!!! This is a remarkable story that people need to hear about. Bethany Hamilton you are so brave, i could never been as brave as you were. God made this happen for a reason but he always does these things for a certain reason, it was a miracle that you survived this attack and I am glad you are alive and better than ever today!!!!!!! Bethany you are amazing you are a great inspiration to many people. I have read your book before and I loved it! You are such an amazing surfer and I have watched the movie a lot of times "soul surfer" and I love it. Also your two kids are so adorable. You are so pretty never stop surfing. Never stop trusting in the Lord Jesus Christ! Have a amazing day! Jesus can do miracles Amen!!! Jesus can do miracles Amen!!!!!! there is a movie based on her. Bethany Hamilton is my hero. I thought that I recognized her from somewhere! We have both Dolphin Tale 1 and 2. When I was little (of course my parents told me this, I don't actually remember), we visited my grandparents in Florida, and we went to see Winter. (And hey, any of you guys that haven't watched those 2 movies, you have got to.) I can't imagine losing an arm! Sometimes I actually want more arms, not less.